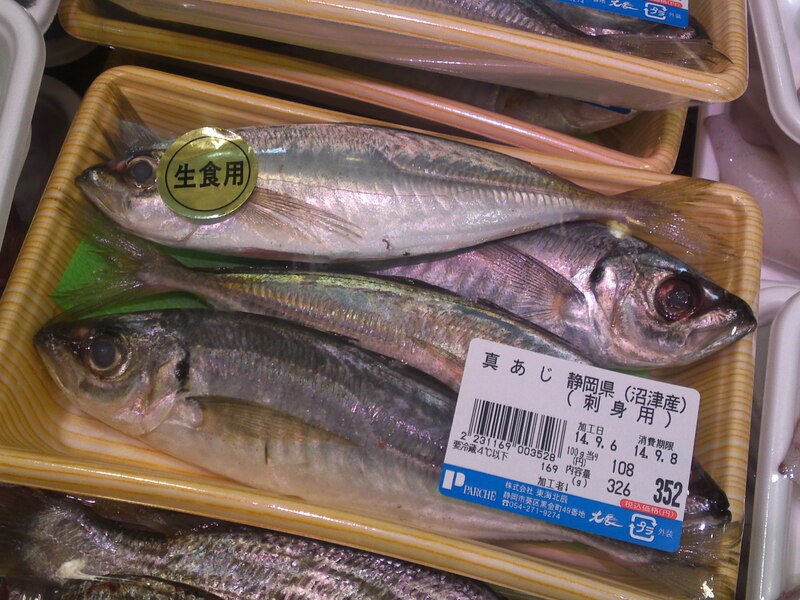 Local Shizuoka Fish & Seafood at Parche Fish Market in Shizuoka City: including Shirasu/Sardine Whiting! 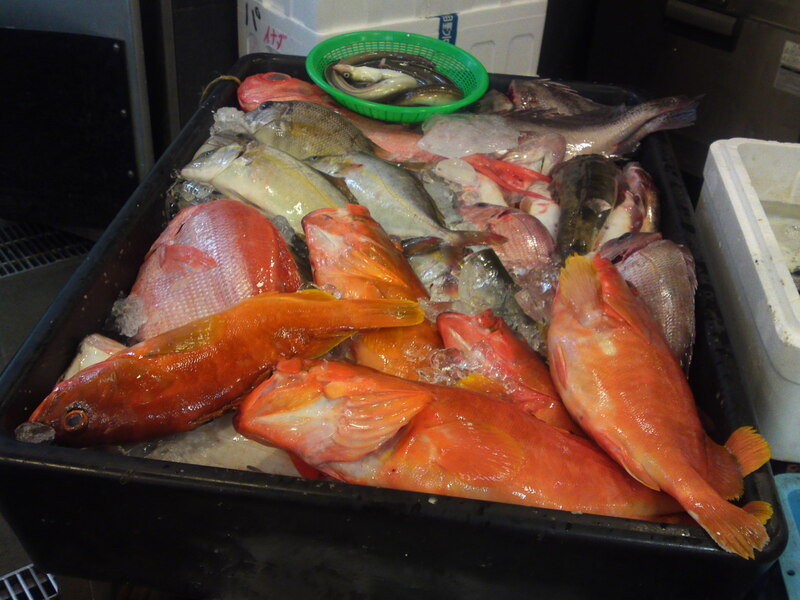 The Autumn seems hesitant to come to us here in Shizuoka and blazing hot days are alternating with cool overcast skies. 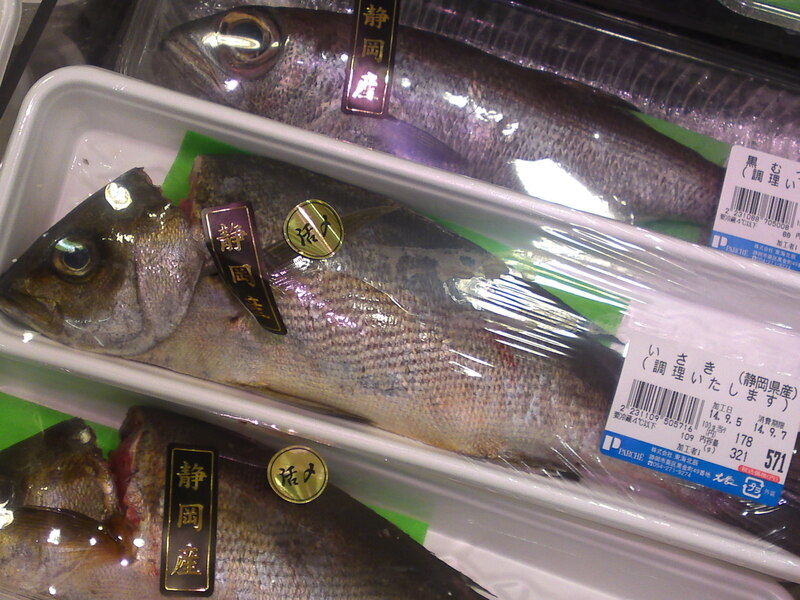 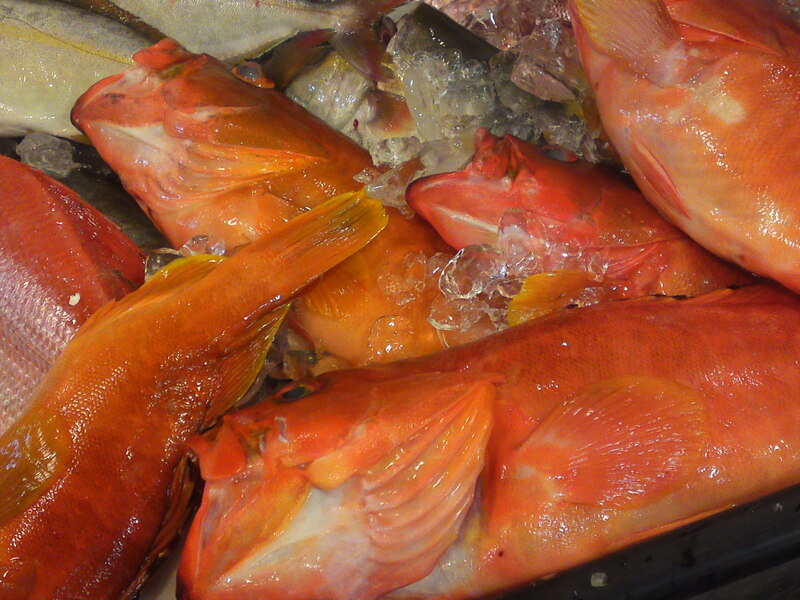 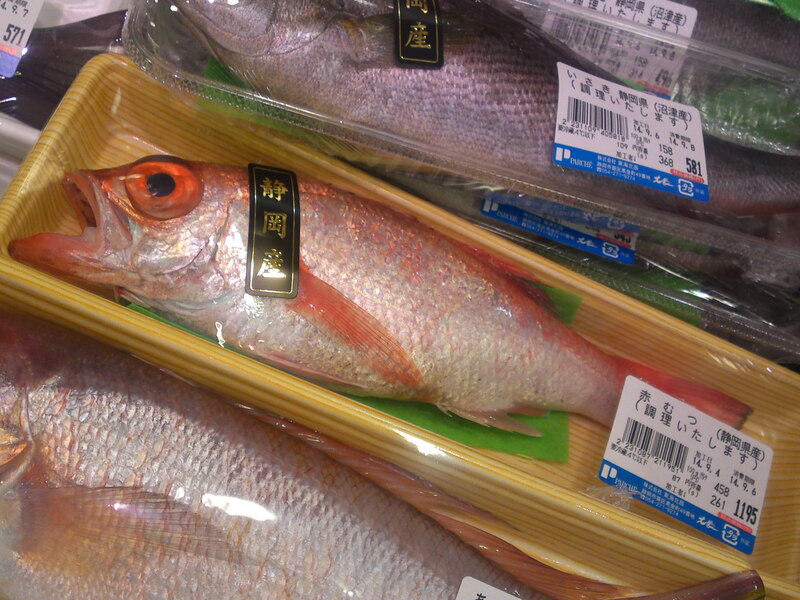 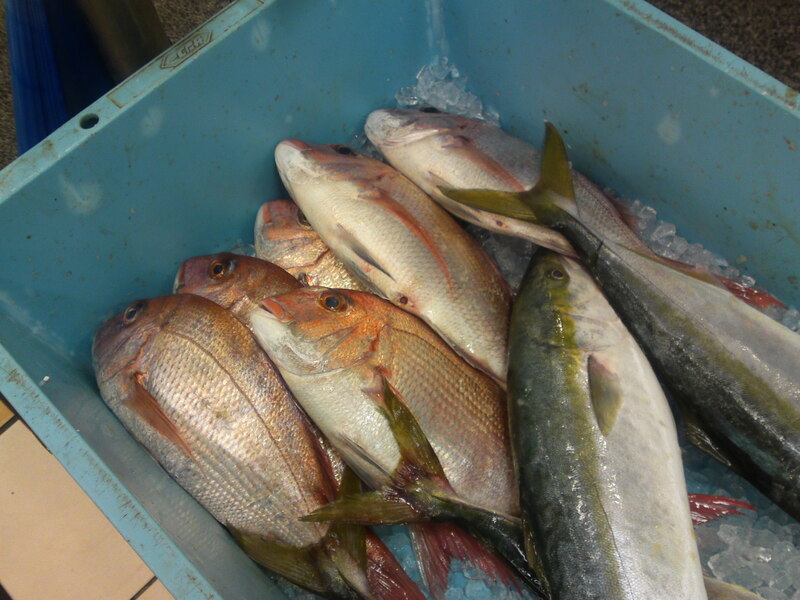 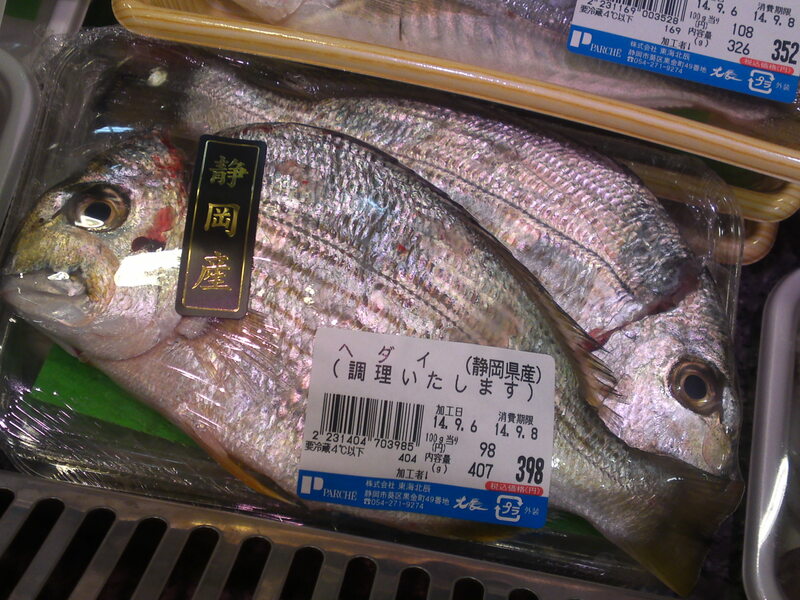 But the fish don’t seem to change much yet at Parche Market in Shizuoka JR Station! 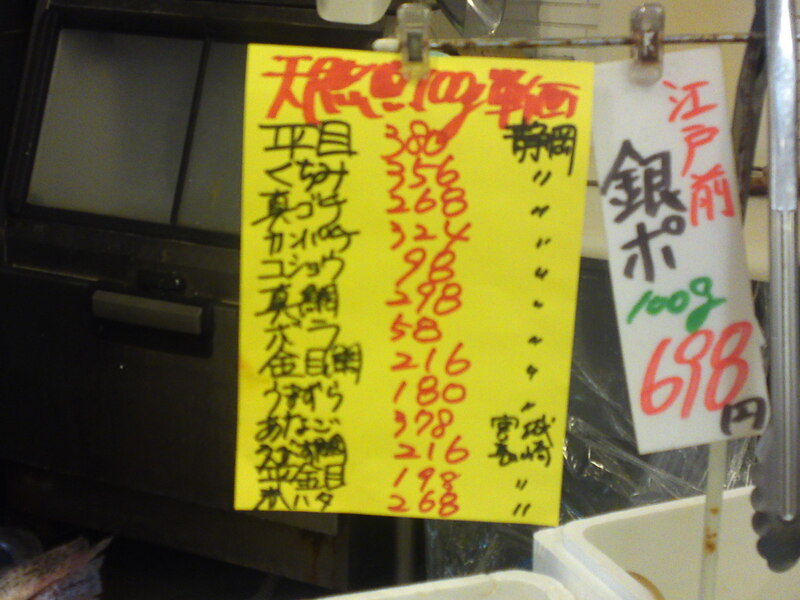 I wonder what they have? 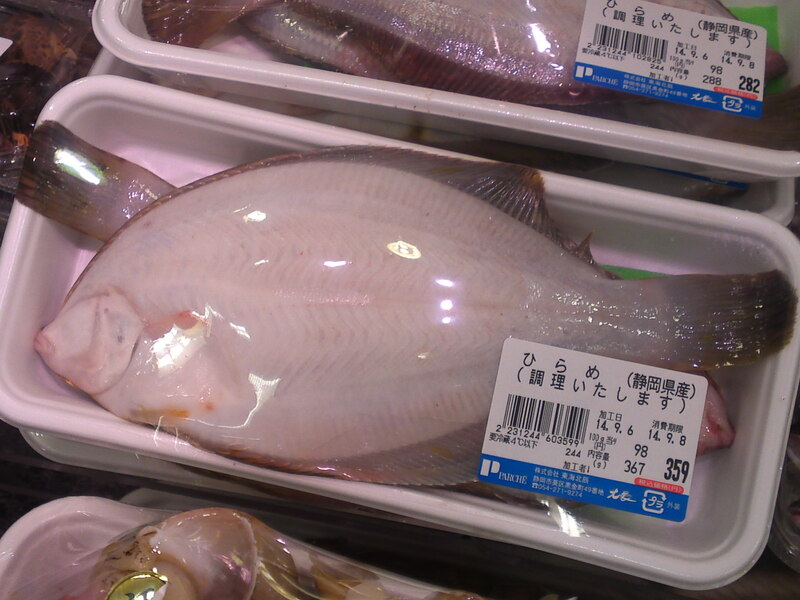 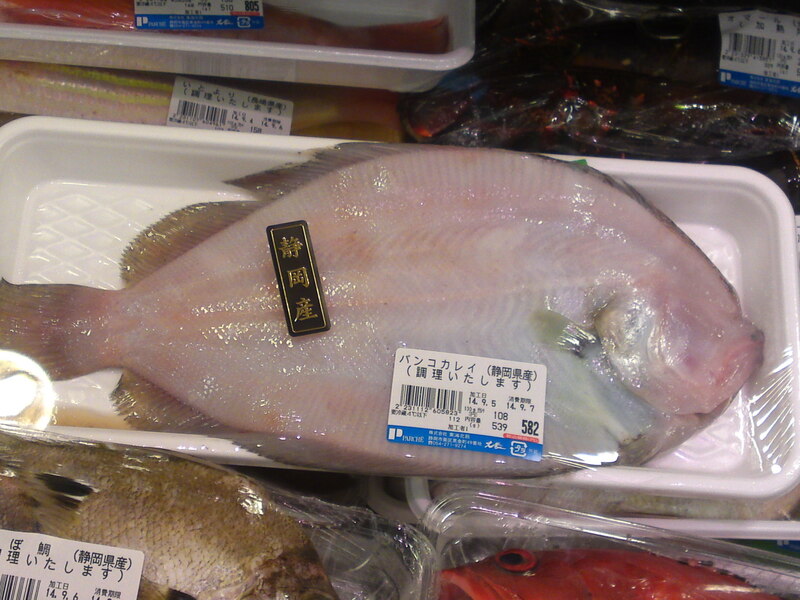 Hirame/平目、鮃、比目魚: sole, flatfish, Kuchimi/口美 (also called Fuefukidai/笛吹鯛): Adjutant, Aoigochi/青い鯒、青い牛尾魚: blue flathead, Kanpachi/間八、環八: greater amberjack, Japanese amberjack, Koshyo (Koshiodai)/胡椒鯛: crescent sweetlips, Madai/真鯛: Japanese seabream, Bora/鯔: mullet, and Umazura/馬面 (also called Umazurahagi/馬面剥): black scraper, Filefish, Scraper, a large variety of filefish! 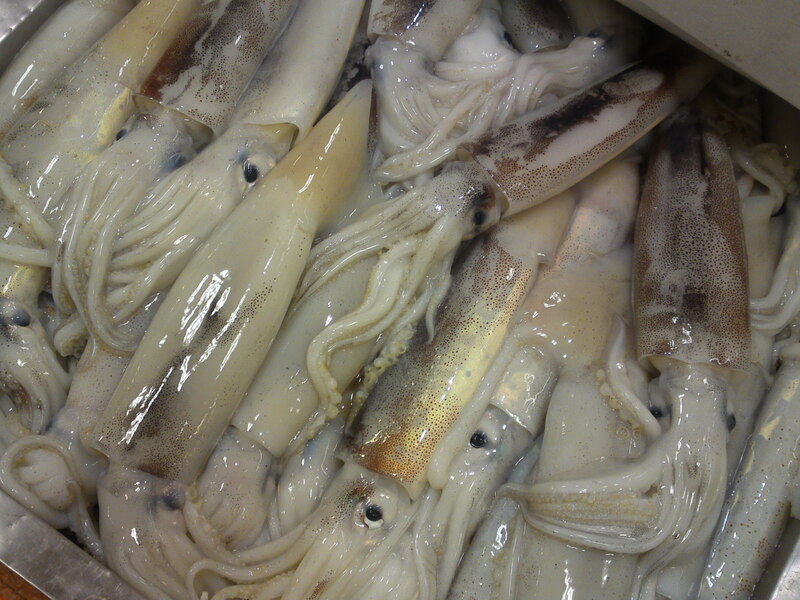 What kind of squids are they? 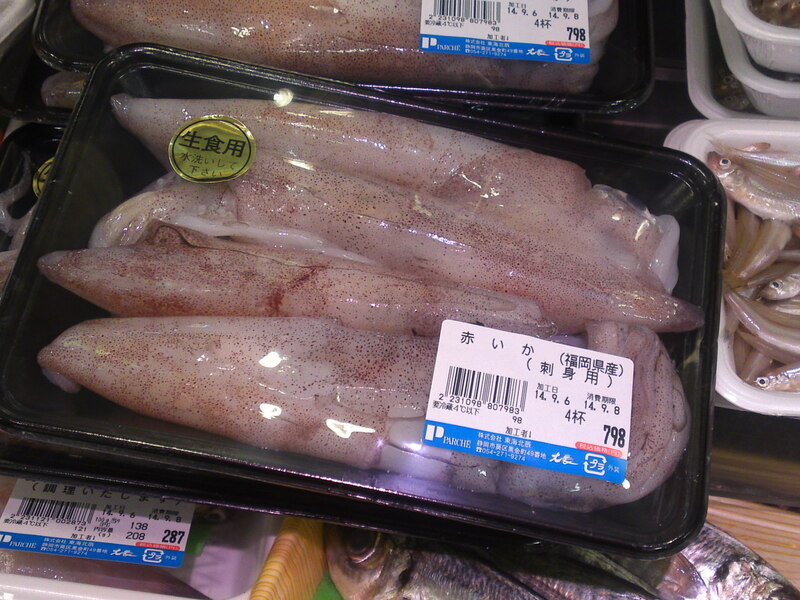 Surume ika/鯣烏賊: Japanese flying squid, Japanese common squid, Pacific flying squid from Sagara! 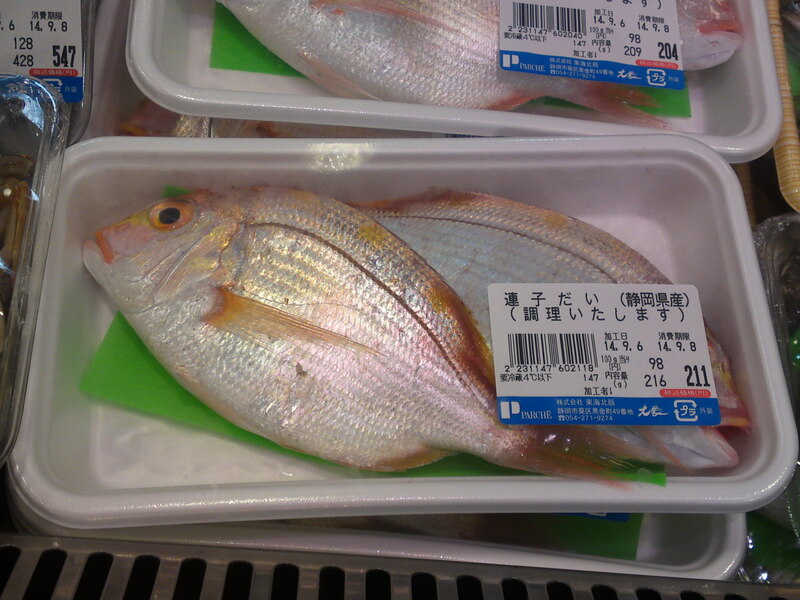 Tennen Madai/天然真鯛: wild Japanese seabream! 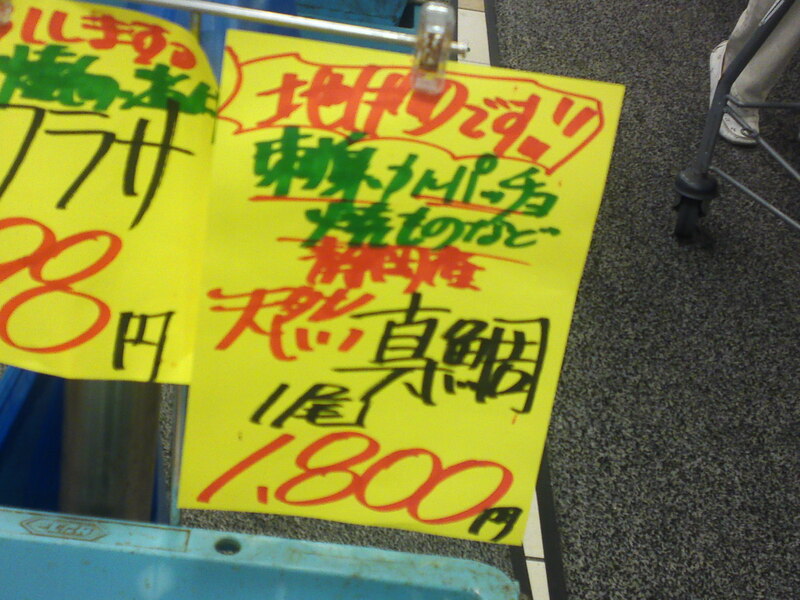 Expensive! 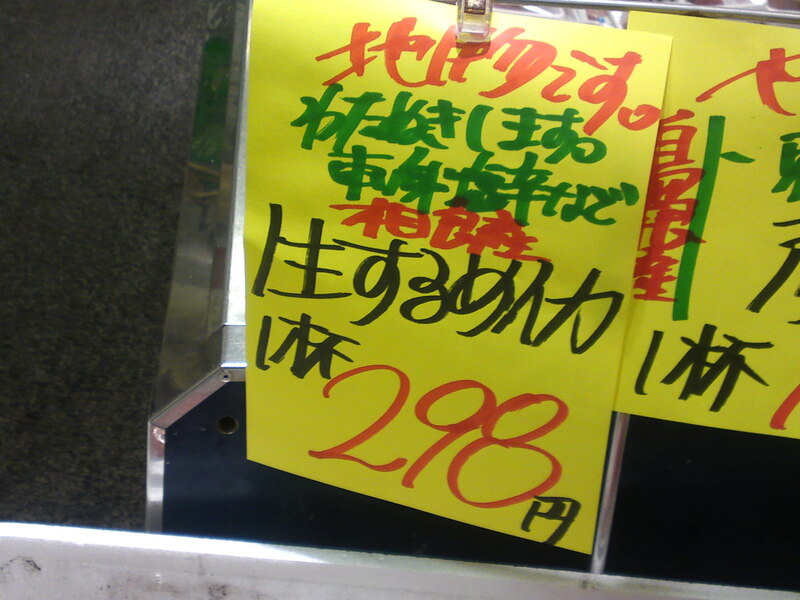 Bankokarei/バンコ鰈： a small variety of turbot! 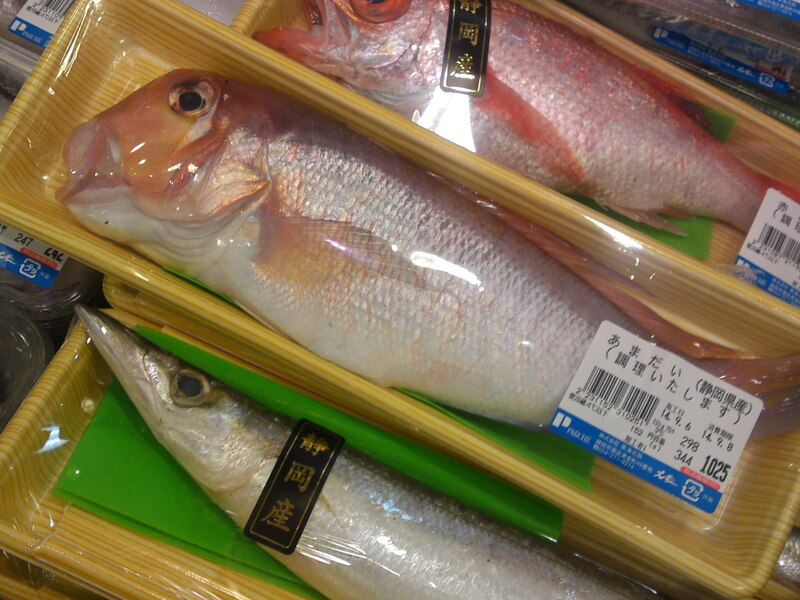 Akamutsu/赤鱫、赤鯥 (also called Nodokuro/喉黒): rosy seabass, red gnomefish! 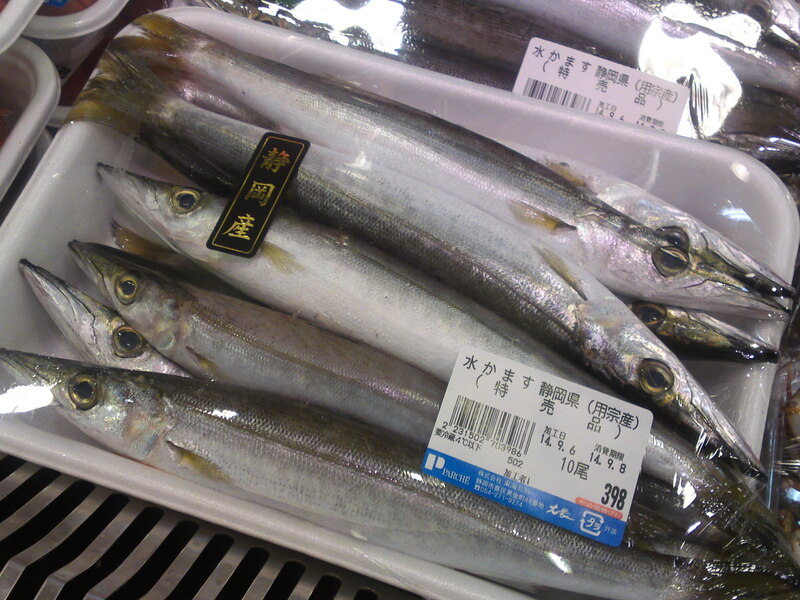 Mizukamasu/水魳、水梭魚、水梭子魚: a variety of Japanese barracuda! 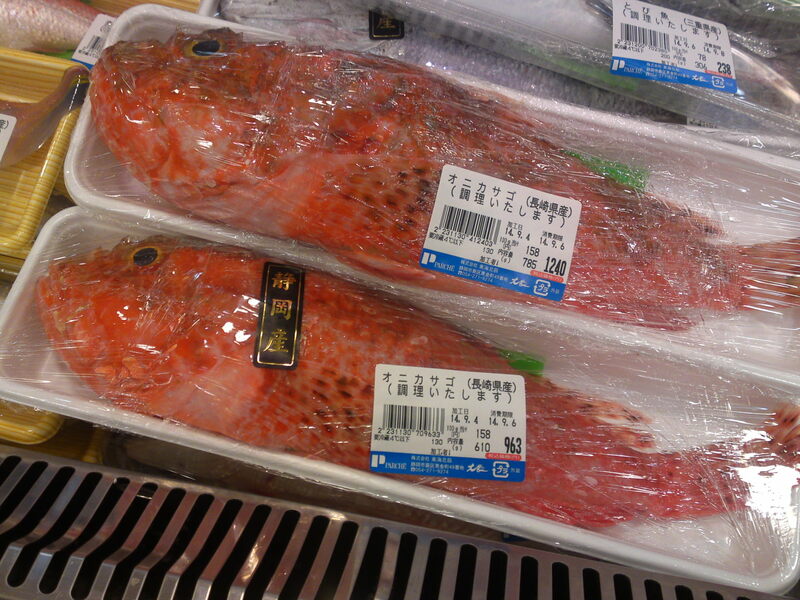 Akaika/赤烏賊: red squid, ommastrephes bartramii! 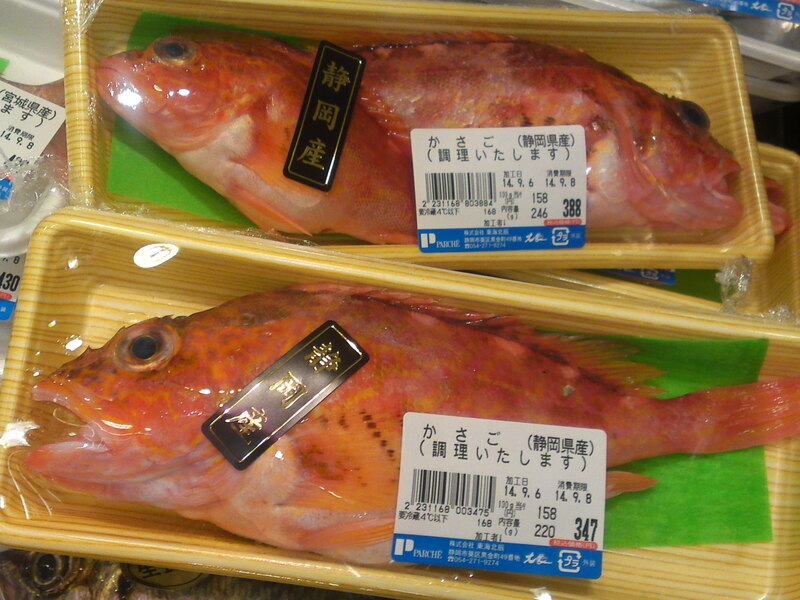 Kasago/笠子、瘡魚: False kelpfish, Marbled rockfish! 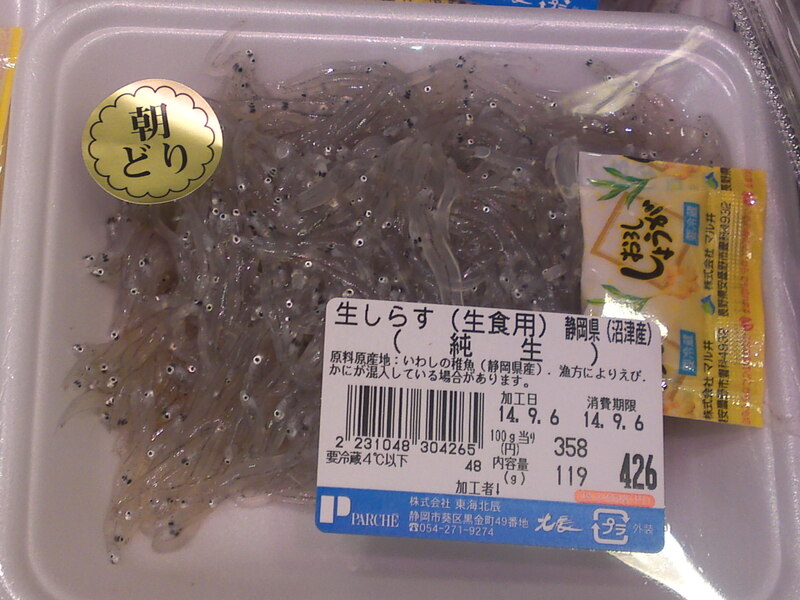 Shirasu/白子(Namashirasu/生白子 if raw): sardine whiting! 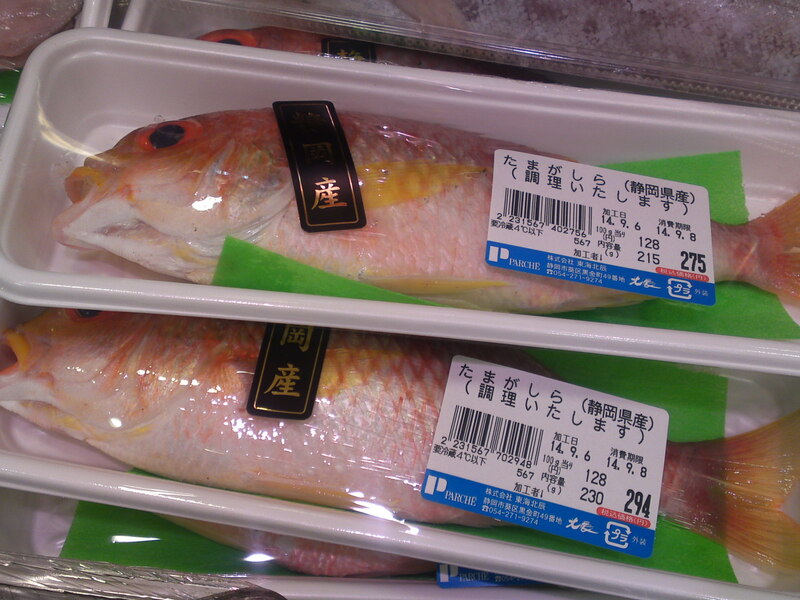 Previous PostLocal Shizuoka Fish & Seafood at Parche Fish Market in Shizuoka City: including Bermuda Fish!Next PostSushi Design by Chef Kenta Birukawa at Sushi Ko in Shizuoka City: Seafood Sushi Millefeuille!